Citing “resource limitations”, the Global Energy Balance Network (GEBN) has shut down operations. GEBN was, until yesterday, a non-profit engaged in promoting healthy living and energy balance but had come under fire in recent months due to its ties to the Coca-Cola (Coke) company. The group’s ties to the soda company were noted back in August, but both GEBN and Coke denied that the soda company had any control over the group’s actions. The discovery of this link put the University of Colorado in an awkward position, as it had recently received a $1 million research donation from Coke since the GEBN president, James Hill, was a professor there. The university has maintained that the donation never influenced its decisions but eventually returned the money because the controversy was becoming distracting. Meanwhile, the University of South Carolina, which had received $500,000 from Coke and also had a GEBN leader on staff, will be keeping its money and asserts that the funds were not misused. Last week, the full extent of the GEBN-Coke relationship was put on display when the Associated Press obtained emails that showed how Coke was involved in selecting GEBN’s leadership, mission statement, and web content. Coke’s vision for the group, outlined in the emails, was that it would become a go-to site for media outlets looking for comments on obesity issues and that a political-style campaign would be able to counter the “public health extremists” that would tax or limit foods deemed unhealthy. There was even collaboration on GEBN’s logo. All colors were acceptable to Coke—except blue, the signature of rival Pepsi. Interestingly, despite the criticism GEBN has received for its partnership, the emails also reveal that Coke may not have been trying to hide the connection. Rhona Applebaum, Coke’s chief scientist and health officer, said in one of the emails that GEBN’s openness about its collaboration was “non-negotiable”. Applebaum resigned from her post last week although when asked about it, Coke stated that Applebaum had made the decision back in October and that it was unrelated to the current situation with the emails. GEBN, along with Coke, have been advocates of the concept of “energy balance”, which is the idea that calorie intake needs to be offset with physical activity or exercise. 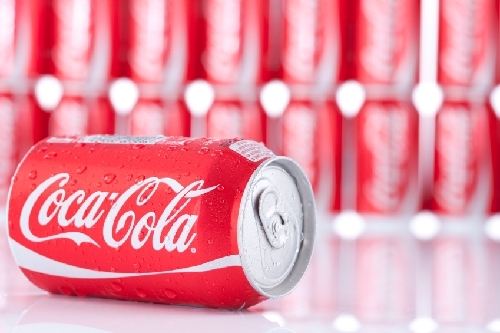 While not an objectionable concept in and of itself, the fact that it is Coke’s preferred stance has drawn criticism that the company is trying to deflect blame away from unhealthy diets. In response to the email release, Hill protested that GEBN focuses on more than just physical activity. Unfortunately, GEBN has shuttered its website so this can no longer be verified. So far, Coke has declined to comment about this most recent development. Choi, C., “APNewsBreak: Emails Reveal Coke’s Role in Anti-obesity Group,” The Big Story web site, November 24, 2015; http://bigstory.ap.org/article/1fd235360ac94dcf893a87e3074a03a5/apnewsbreak-emails-reveal-cokes-role-anti-obesity-group. Choi, C., “Coca-Cola-funded Nonprofit to Address Obesity Is Discontinuing,” CBC news web site, December 1, 2015; http://www.cbc.ca/news/business/coke-nonprofit-disbands-1.3344730. Mole, B., “Chief Coca-Cola Scientist Leaves amid Criticism over Obesity Research,” Ars Technica web site, November 25, 2015; http://arstechnica.com/science/2015/11/chief-coca-cola-scientist-leaves-amid-criticism-over-obesity-research/.